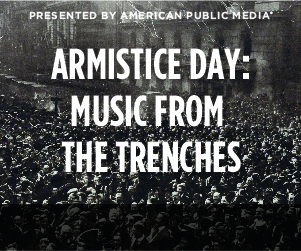 Music spanning WWI through the signing of the armistice. This program commemorates the 100th anniversary of Armistice Day, the end of World War I. You’ll hear music from both sides of the Atlantic related to the historic period spanning the start of WWI through the signing of the armistice. 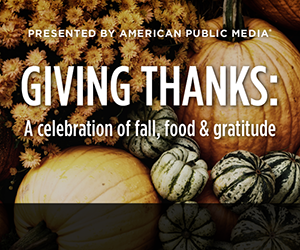 A contemporary celebration of gratitude, with classical music and stories of Thanksgiving. Giving Thanks: New for 2018! John Birge presents a contemporary celebration of gratitude, with classical music and stories of Thanksgiving. This year’s Giving Thanks also celebrates the Feast Day of St. Cecilia, the patron saint of music. Turkey triage, LIVE on Thanksgiving morning! 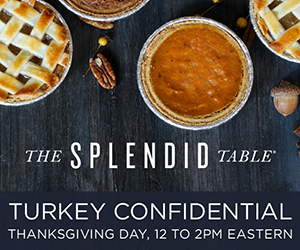 The Splendid Table’s Turkey Confidential: The annual LIVE Thanksgiving call-in show! Francis Lam takes calls and comes to the rescue of cooks, kitchen helpers and dinner guests during the biggest cooking day of the year. Celebrate one of life’s most meaningful gifts, music. 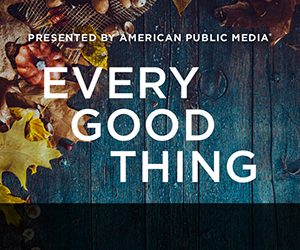 Every Good Thing: Join classical music fans from around the country as they give thanks and celebrate one of life’s most meaningful gifts, music.